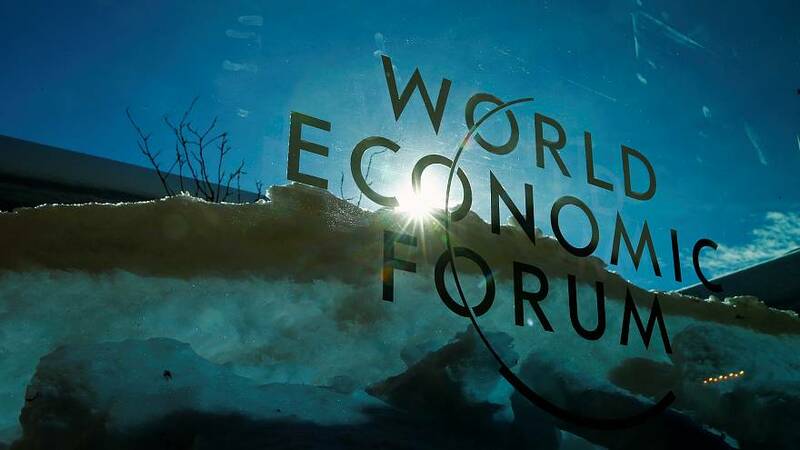 European issues were on the agenda during a debate at the World Economic Forum in Davos, Switzerland, on Thursday. You can watch the full session back in the video player, above. On the panel were: Cecilia Malmström, EU trade commissioner; Ana Botin, executive chairman of Banco Santander; Irish Prime Minister Leo Varadkar; his Dutch counterpart Mark Rutte; and Poland PM Mateusz Morawieck. Why should young people be proud of the EU? Rutte said prosperity, collective safety and promoting values like democracy, rule of law and human rights. Europe's not perfect but it works and we've had 70 years of peace and prosperity, said Varadkar. "Europe's diversity," said Morawieck. "We cannot pretend it doesn't exist." But he called for more transparency in Brussels to better empower people. What reforms are needed in Europe? The internal market should be expanded beyond just goods to cover the digital and service sectors, said Rutte. We have to step up our commitments on climate change, added Rutte, we need a 55% emissions-reduction target if we are going to get even close to tackling global warming. There should be more solidarity on the refugee problem, said Rutte. The numbers are not that big but it's not fair that Germany, Sweden and the Netherlands shoulder the burden. I share your frustration on the migration issue, said Malmström, responding to Rutte. It's a weakness of the European Union. Climate is a major problem and if we want to regain the trust of young Europeans, Brussels has to live up to its promises on the issue, added Malmström. We should stop having tax havens in Europe, said Morawieck. We need a level playing field in terms of taxation. We should also avoid different standards for EU members states, like Italy being treated differently to France on its budget deficit, added Morawieck. We need institution building so that Europe can better punch its weight in the world, especially with America and China both putting themselves first, said Botin. We also need to complete the single market for services and move forward with the banking union, Botin added. Big companies should pay their taxes, said Varadkar, who admitted Ireland had raked in record levels of corporation tax in recent years. What are the next concrete steps to reinforce trust in the future of Europe? Varadkar said the EU needs to have a common foreign policy going forward and be a force for good in the world, instead of just being an economic trading bloc. Education and reskilling are important, said Botin. We need to keep our promises concerning things that we have already agreed on, said Rutte.